Our single malts are available in a number of different expressions, offering a variety of rich aromas and flavours to explore. 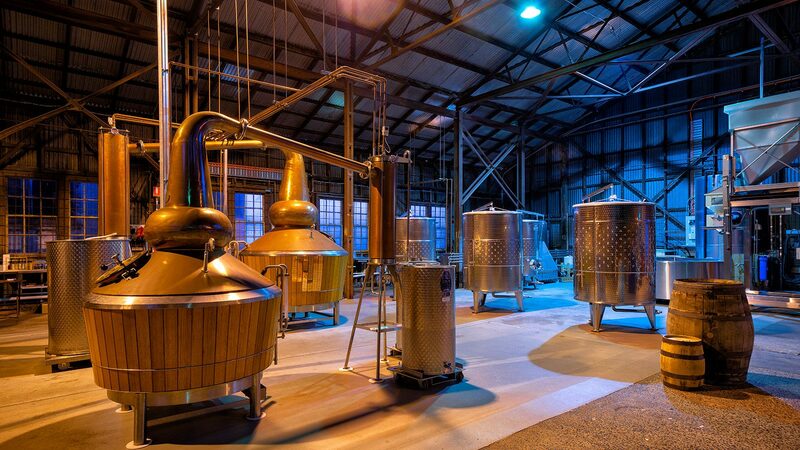 We are passionate about creating whiskies that honour the best traditions of single malt whisky, but also capture the essence of northern Tasmania. Our Limited Edition label is reserved for very special releases. Limited bottling from a single small cask to support RSPCA Tasmania. Batch H17-05, Tasmanian single malt. This rich, robust whisky was matured in small French oak casks which previously held tawny fortified wine (Australian-style port). Batch H17-06, Tasmanian single malt. Matured in small French oak casks which previously held apera fortified wine (Australian-style sherry). Batch H17-07, Tasmanian single malt, matured in small American oak bourbon casks. This whisky was matured for 2 ½ years in small French oak casks which previously held apera fortified wine (Australian-style sherry). A dozen casks were then vatted and allowed to “marry” together for a further 2 months before bottling. It was a celebration of the first casks ever filled at Launceston Distillery. 530 bottles, 46% alcohol by volume, released in July 2018. This whisky was matured for 2 ½ years in a small French oak casks of South Australian origin which previously held tawny fortified wine (Australian-style port). A dozen casks were then vatted and allowed to “marry” together for a further 2 months before bottling. 590 bottles, 46% alcohol by volume, released in July 2018. This whisky was matured for 2 ½ years in small French oak casks which previously held apera fortified wine (Australian-style sherry). A dozen casks were then vatted and allowed to “marry” together for a further 2 months before bottling. 430 bottles, 46% alcohol by volume, released in October 2018. Additionally, 30 bottles at Cask Strength (64% ABV) were released as a Limited Edition. This whisky was matured for 2 ½ years in small American oak casks. Eleven casks were vatted, which gave 335 bottles, 46% alcohol by volume, released in November 2018. A small 20 L tawny cask (2016-01) was matured for 2 and a half years, which gave 48 bottles at 46% ABV. All proceeds from teh sale of this whisky will go to support the work of RSPCA Tasmania.